Finn loves food that allows him to get his hands messy (along with the rest of him!) He loves to dip things so this dish is a big hit with him. 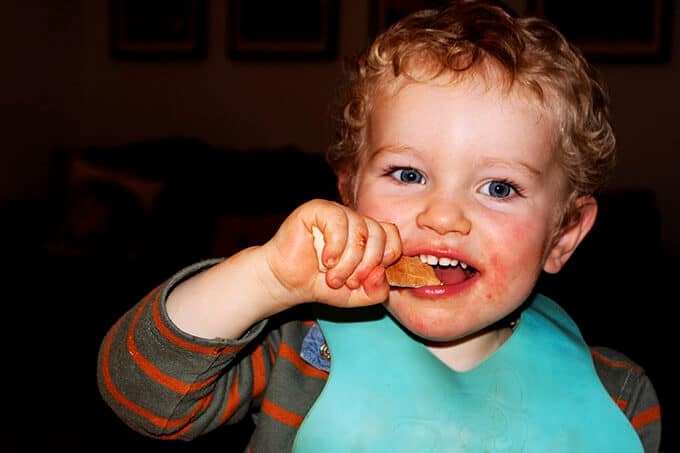 The pitta dippers are great for soaking up the beautiful tomato sauce and Finn has a great knack of scooping up the prawns with them. Heat the oil in a heavy based frying pan over a medium heat. Add the chopped onion and garlic and allow the mixture to become translucent. Add the tomatoes and bring to the boil, then add the prawns and simmer for 10 mins. 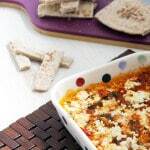 Stir in the parsley and transfer to an oven proof dish (or dishes if doing individual portions) Crumble feta cheese on top. 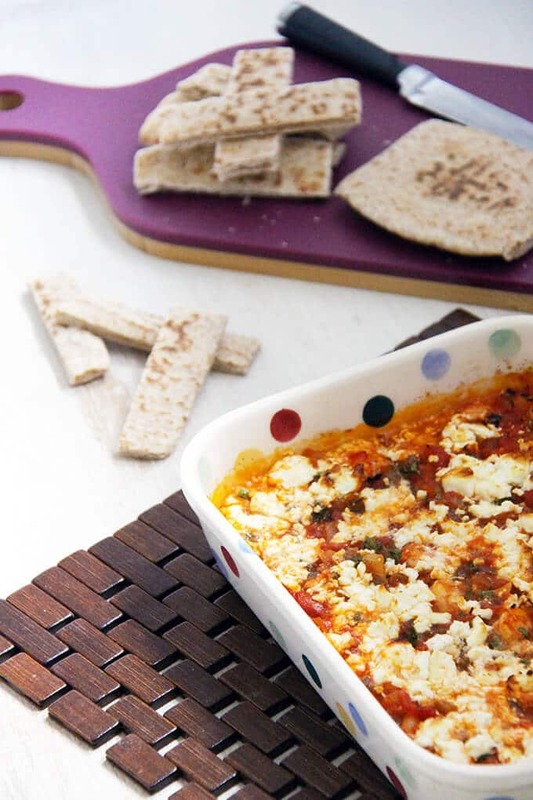 Place under the grill until the feta cheese melts. At this time also toast the pittas.